A dental crown or dental cap is a custom made restoration that covers a tooth with sustained significant loss of structure.Dental crowns are used to restore teeth to a certain shape and size. They provide strength and improves the appearance of the tooth. 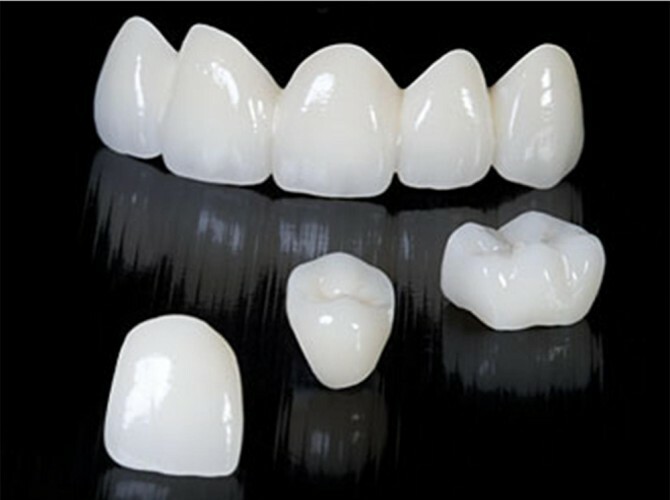 Porcelain fused to metal (PFM) dental crowns and all porcelain crowns are tooth colored crowns. 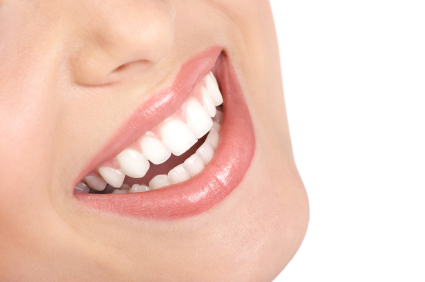 PFM dental crowns offer the best combination of aesthetics and durability. PFM dental crowns are usually used to restore back teeth where the forces of chewing and grinding are strongest. 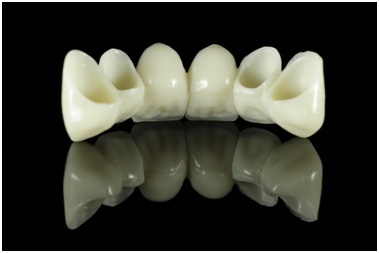 All porcelain crowns are the most aesthetic and are used primarily used for front teeth. The all-ceramic porcelain crowns include the IPS Empress Esthetics crowns from Ivoclar Vivadent and Procera NobelEsthetics from Nobel Biocare. Brush and floss the crowns as recommended by your dentist or dental hygienist. 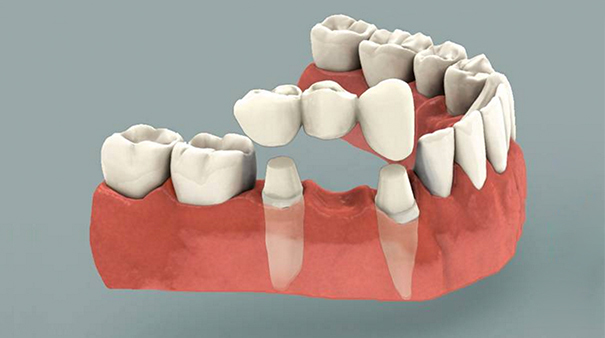 A dental bridge is one method to fill a gap created by a missing tooth (or teeth). Dental bridge or pontic is a custom-made false tooth or teeth, that is permanently placed between two healthy teeth, filling in the area left by a missing tooth or teeth. The bridge is held in place by crowns placed on the healthy teeth on each side of space to be filled. Traditional bridges involve creating a crown for the tooth or implant on either side of the missing tooth, with a pontic in between. Traditional bridges are the most common type of bridge. Cantilever bridges are usually used when there are adjacent teeth on only one side of the missing tooth or teeth. Marlyland bridges also called a resin-bonded bridges or a Maryland bonded bridges. Maryland bridges supported by a metal framework. Metal wings on each side of the bridge are bonded to the back of existing teeth. The all porcelain dental bridges and porcelain fused to metal (PFM) dental bridges are tooth colored bridges. PFM dental bridges are usually used to restore back teeth where the forces of chewing and grinding are strongest. All porcelain dental bridges are the most aesthetic and are used almost exclusively for front teeth where the need for strength is not as critical.